A member of Parliament from B.C. 's Kootenay region is concerned that new rules to govern legalized marijuana will exclude small-scale growers in his riding. 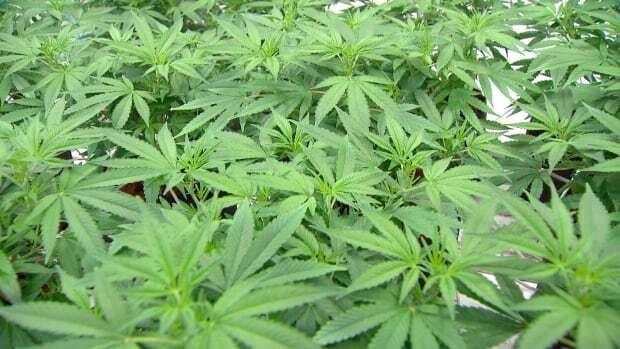 Wayne Stetski, NDP MP for Kootenay-Columbia, says the proposed federal rules will block those without major funding and those who wish to grow cannabis outdoors. "It seems to me to favour large corporations and potentially leave the little person out and I don't think that's right," said Stetski to CBC Daybreak South host Chris Walker. "I just find it really unfortunate that the little person is left out of the equation going forward when they want to, in essence, get a good business opportunity going and help local communities." Stetski said small-scale producers are having difficulty obtaining licenses through Health Canada because the process requires a certain level of funding and facilities to already be secured. "It seems like there's an inequality in Canada continuing around the business side of it," said Stetski. "If you have lots of money, you can get into a position to apply for a license ... if you don't have lots of money you can't." "It's not like we have a lot of people sitting around with a lot of money in the Kootenays, whereas some large corporations already have financing in place." He also said a co-op has formed in the West Kootenay of more than 100 people interested in being outdoor marijuana producers. However, he said current Health Canada policy states cannabis must be grown in a secure indoor facility with proper air filtration. "The government still seems to be reluctant to allow outdoor growers to participate," he said. He says he is concerned if small-scale and outdoor growers are excluded, it could result in black market activities. "If you don't find a way to involve them ... then I think we're going to have some very difficult times ahead for both the individuals who live in the West Kootenay and potentially for government."